You are here: Home / Fraud / law / Misappropriation / Misappropriation of Trade Secrets / Trade Secrets / What does Misappropriation of Trade Secrets mean in fraud cases? What does Misappropriation of Trade Secrets mean in fraud cases? Misappropriation is the intentional, illegal use of the property, funds, or ideas of another person for an unauthorised purpose. In the fraud context, misappropriation claims generally involve trade secrets or other proprietary information. 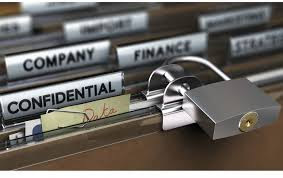 Trade secrets include not only secret formulas and processes, but the term also refers to more undane proprietary information, such as customer and price lists, sales figures, business plans, or any other confidential information that has a value to the business and would be potentially harmful if disclosed. The information is not generally known to the relevant portion of the public. The information confers some sort of economic benefit on its holder (where this benefit must derive specifically from its not being generally known, not just from the value of the formation itself). The information is the subject of reasonable efforts to maintain its secrecy. The defendant possessed information of value. The information was treated confidentially. The defendant took or used the information by breach of an agreement, confidential relationship, or other improper means. A person accused of misappropriating trade secrets might raise several defences. The most typical defence is that the accused developed the information independently. The accused also might defend a misappropriation claim by showing that the information was not in fact a secret, that it was uthorised to use the information, or that the trade secret had been abandoned by the owner.